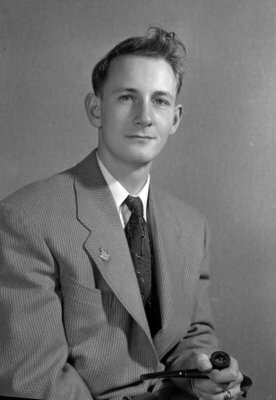 A black and white portrait photograph of Bob Collins. Bob Collins, December 8, 1947, Marjorie Ruddy. Whitby Archives A2013_040_041. Scanned from a sheet film negative.